This lovely hand made Labradorite Moon Goddess Pendant with a round 5mm cab at the top & a 15mm x 20mm inverted teardrop cab below. She has her arms reaching up holding a crescent moon. Approx 5cm incl bale. Nice silver Labradorite Moon Goddess Pendant. This lovely hand made Labradorite Moon Goddess Pendant has a small round 5mm cab at the top with a 15mm x 20mm inverted teardrop cab below. She has her arms reaching up and in them she is holding a crescent moon. It is approx 5cm incl bale. 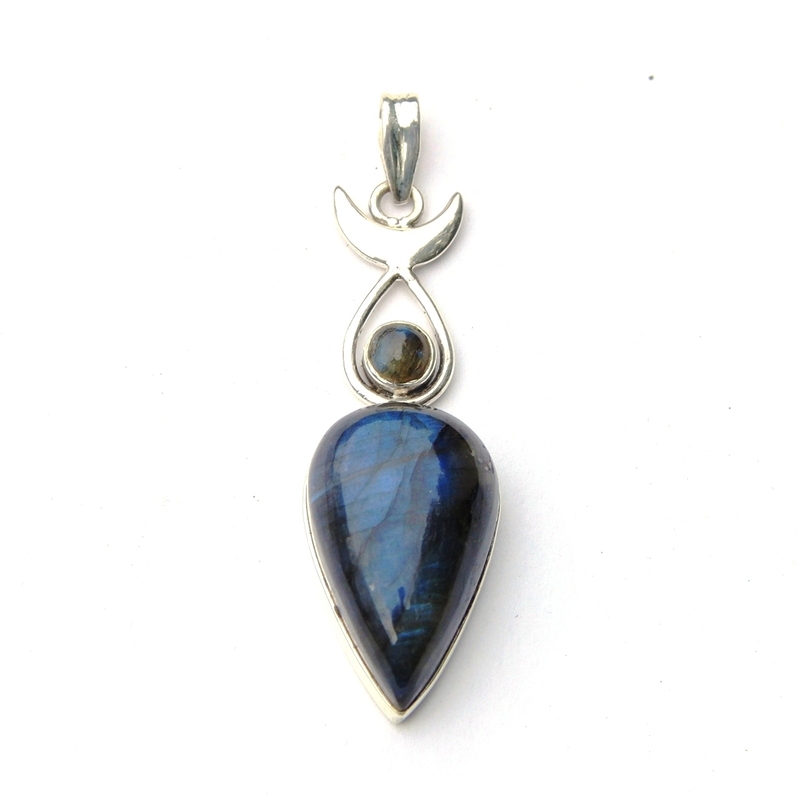 This website is strictly for approved Wholesale customers only, if you are looking to purchase this Labradorite Moon Goddess Pendant from a retail store, please visit Shooting Star.